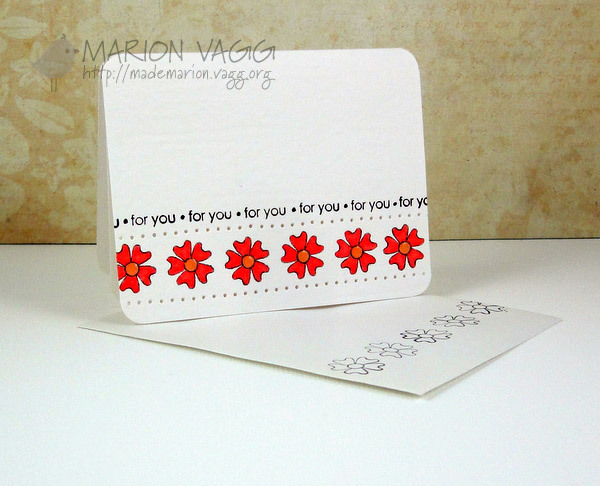 The flowers and the background script have been clear embossed and then covered with distress inks. I spritzed the flowers with pearlised water, so in real life they have a slight shimmer. The background script is from a soon-to-be-released set…I couldn’t resist using it as it is so beautiful! Thanks for dropping by…hope that you can join in and play along – the winner will receive a $15 Gift voucher to the store. Be sure to check out what the rest of the DT have created – especially Stephanie’s card as sadly it is her last day on the Belle Design Team. It has been great working alongside such a talented lady and I wish her all the best. 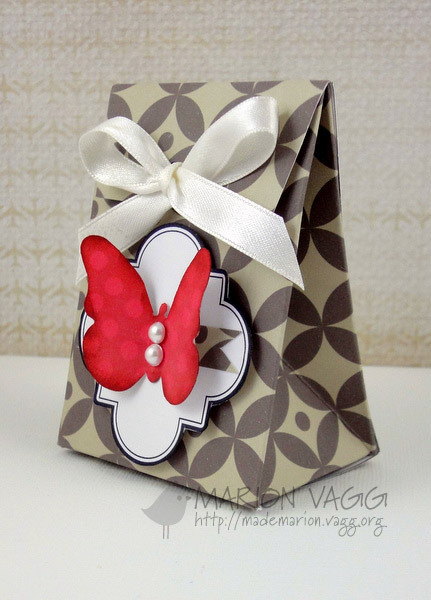 Today I have a couple of gift bags/boxes to share with you using Print Candee products. This month the Creative Team are working on projects with the theme of a ‘gift for you’ and since I love to give little boxed gifts – it was right up my alley. 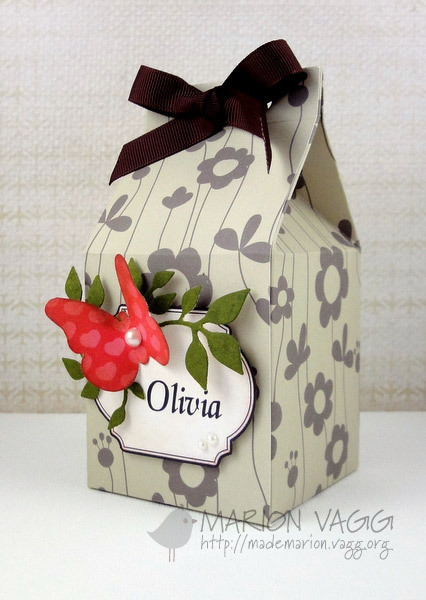 All the papers I used are digital papers from the Nature Shapes – paper pack from Pixel Paper Prints. Aren’t they just beautiful? They printed perfectly onto my white card stock. 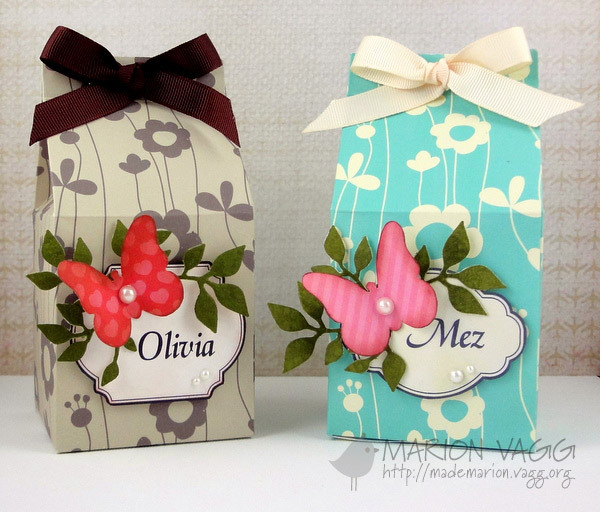 I used the Ribbon Bag – blank template to make the bags. 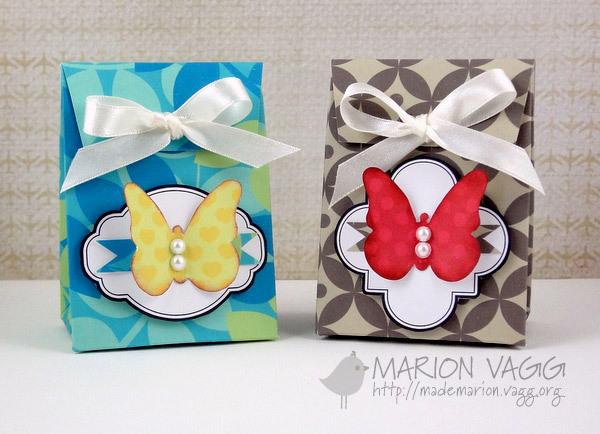 The butterflies are the Colorful Patterned Butterflies by Print Candee and the labels are from the Assorted Labels set by Print Candee. They were so easy to make, and I know that I will be making a lot more for parties in the future. 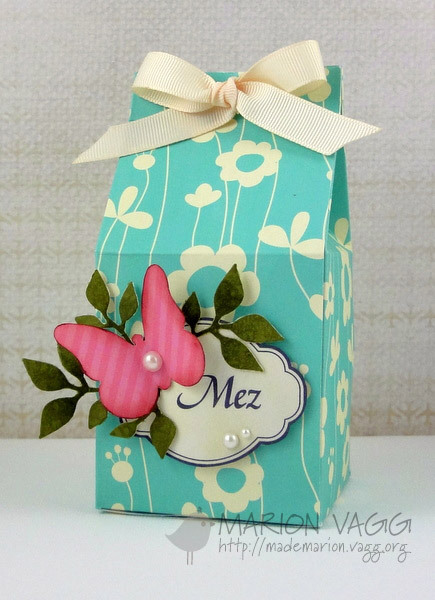 Print Candee have many box templates to choose from. Check them out here. And because I love making boxes, I kept going. 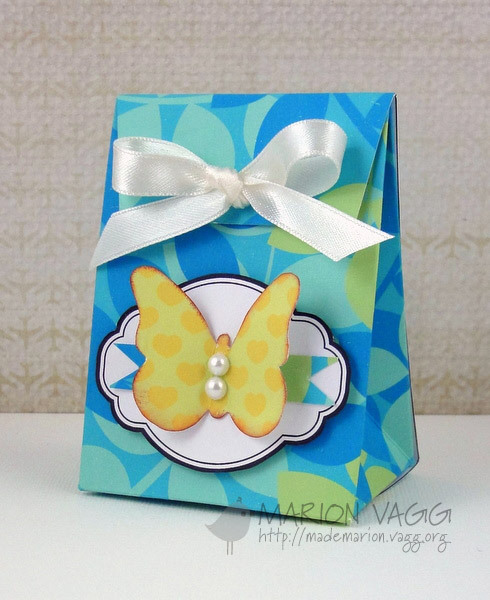 This is a box template I have been meaning to try out for a while thanks to Kerry. Once again all the papers are digital papers from the Nature Shapes – paper pack from Pixel Paper Prints. 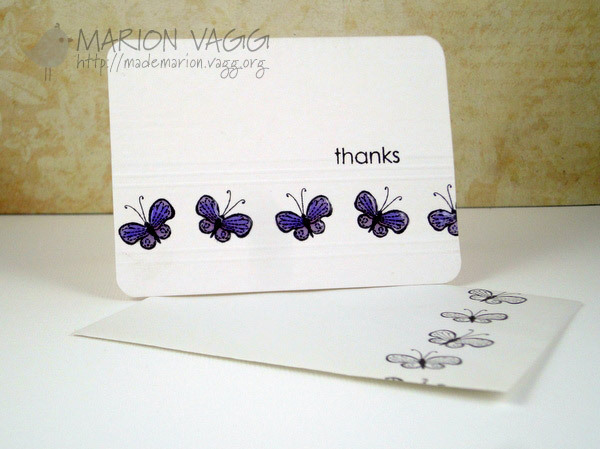 Same Butterfly and Assorted Labels sets as above. These two boxes are filled with chocolates to give to two girls who are about to sit their HSC exams (final exams in Year 12 in NSW, Australia) who I taught when they were in Year 2 and Year 6! Both girls are close to my heart and I wish them all the best! Thanks for stopping by and be sure to check out the Print Candee store as there are hundreds of fabulous digital products to choose from. 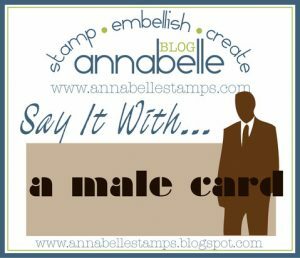 This week’s challenge at AnnaBelle Stamps is to make a male card…and oh boy, was it a challenge for me! 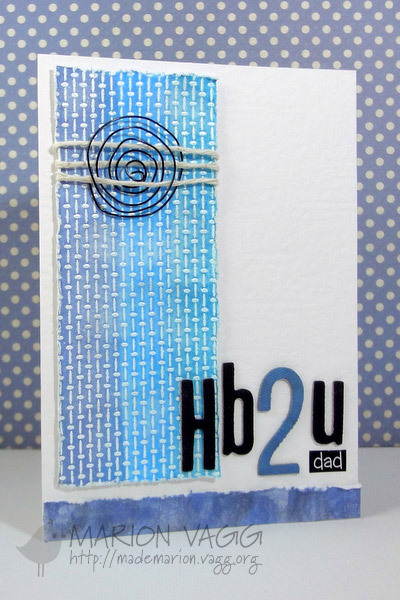 Me and male cards just don’t seem to mix however I did manage to create something after lots of paper shuffling. 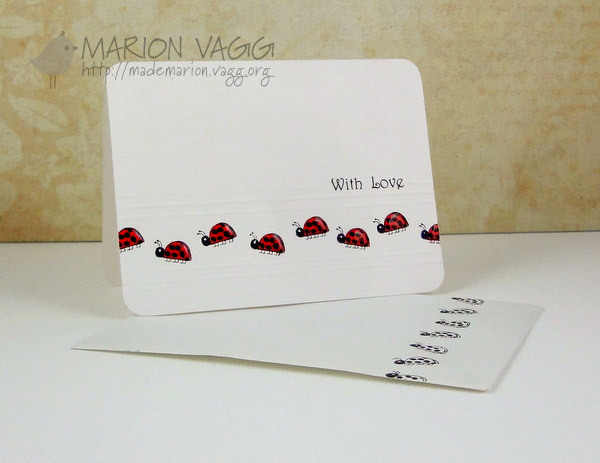 I paired it with the sketch challenge over at Lily Pad Cards. 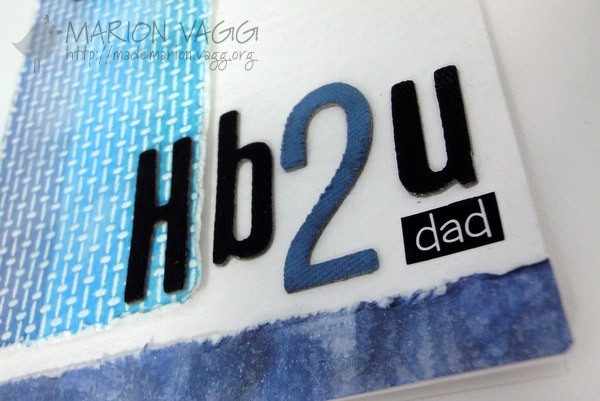 I heat embossed a background stamp in white, then rubbed over with 3 different inks (it didn’t pick up in the photo – but there are 3 shades of blue on the panel). I thought it looked like pressed metal (very manly) and the spiral is my own little creations made from black craft wire. 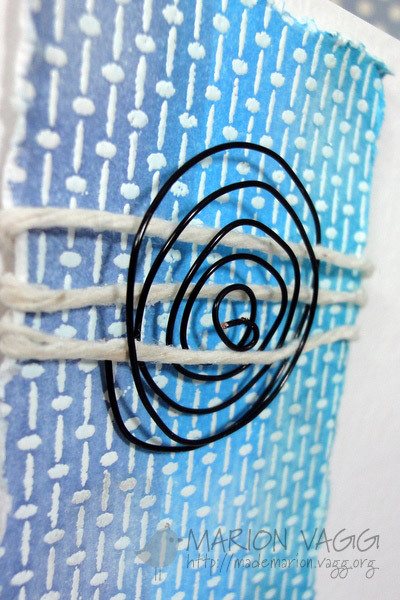 It is my attempt at a manly embellishment – a coil, a cog…something along those lines. It is a b’day card for my hubby for next week from the kids….and he gave it his seal of approval…so it must be OK! Thanks for stopping by and be sure to check out some more man-li-ness from the rest of the DT. Their links are in my side bar. Hope you can play along! Just popping in quickly with my entry into the current CAS-ual Fridays challenge. 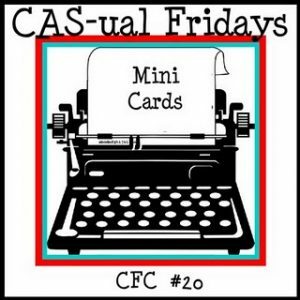 I just had to enter as I LOVE to make mini cards and also AnnaBelle stamps is the sponsor this week! The deadline is soon, so will pop in later with all the deets. 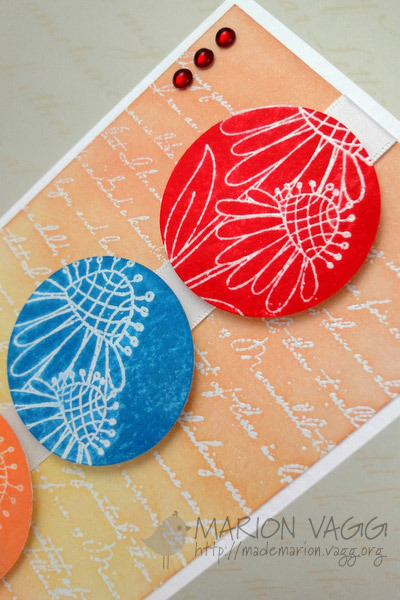 Welcome to another AnnaBelle Stamps Blog Hop. If you have arrived from Patti’s blog you are in the right place. Do you want to be in the running to win a fabulous AnnaBelle Stamp set? Well read on. 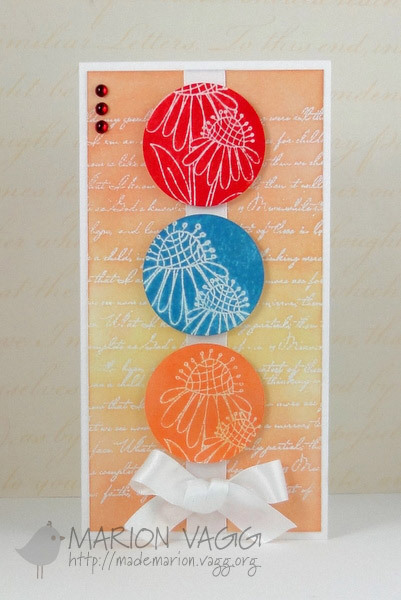 Today the AnnaBelle DT are again showcasing one of the August stamp releases called Stamped for Christmas. 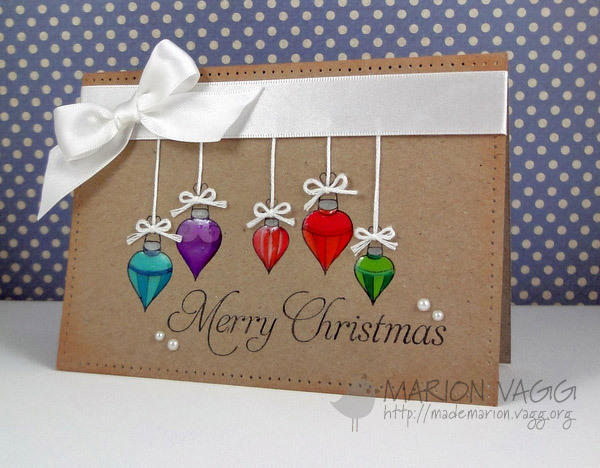 I coloured the baubles in heavily with Prismacolor pencils onto Kraft card. To add some shine I covered them with Glossy Accents. Thanks for stopping by…and now you are hopping over to the AnnaBelle Blog. Don’t forget to add your name to the inlinkz below for your chance to win this fabulous stamp set! To keep our hop as fun and simple as possible, click through each of the DT blogs to see what they’ve created using this set. You can comment if you like, and leave your name using the Inlinkz on any of the DT blogs, or on the ABS blog. 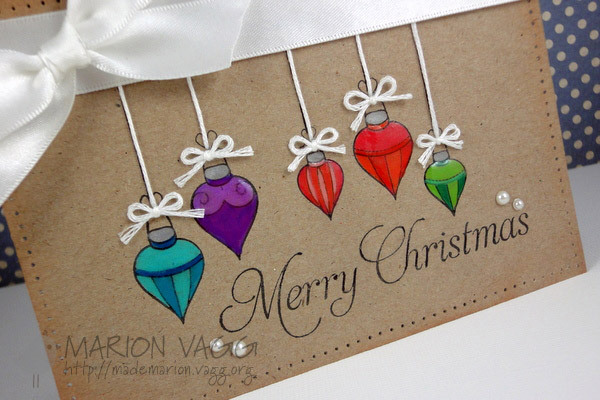 You don’t have to comment on all of our blogs, just remember to add your name for your chance to win the Blog Hop prize which is the Stamped for Christmas stamp set. 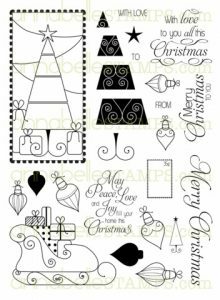 Along with each of our blog hops we will announce a special deal which is the Stamped for Christmas set will be on sale for the next two weeks…20%off.